Arizonians pride ourselves on being different than everyone else. We have some admittedly strange habits, can pronounce words that people from other states can’t, and proudly boast being home to some of the country’s weirdest roadside oddities. From a tepee motel to the mysterious “Thing,” this trip takes you to 10 of our quirkiest attractions. 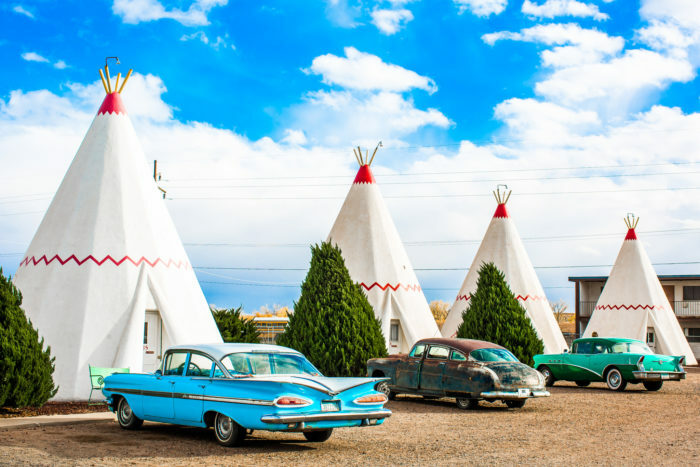 These tepees have become an iconic symbol of Route 66 since their opening back in the 1950s. 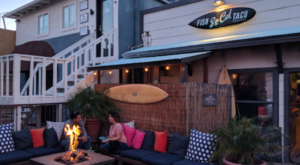 After briefly closing due to the owner's death in 1982, Wigwam is back and better than ever with fully renovated rooms. Vintage cars are almost always parked out front, adding to the nostalgia factor already present at every mile marker along this historic highway. 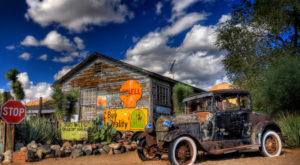 You'll find the motel at 811 W Hopi Dr., Holbrook, AZ 86025. Even without a map to guide you, this kitschy convenience store can't be missed. It's filled with all the usual suspects in roadside gas stations - well, aside from the fact that everything is covered in bunnies. There's even a family photo-op out front in the form of a giant, saddle-wearing jackrabbit. While it's most definitely a tourist trap, it's one that every Arizonian needs to visit at least once. The address is 3386 Rte. 66, Joseph City, AZ 86032. What else could we possibly add to this picture? 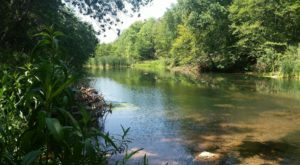 On the off-chance you aren't intrigued enough yet, this 50,000-year-old crater was formed in an impact equivalent to 20 million tons of TNT. 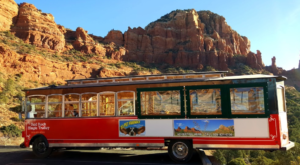 It's one of the most well-preserved sites of its kind in the world, and no trip to the Grand Canyon State is complete without a stop here. While there's no exact address, you can click here for directions. 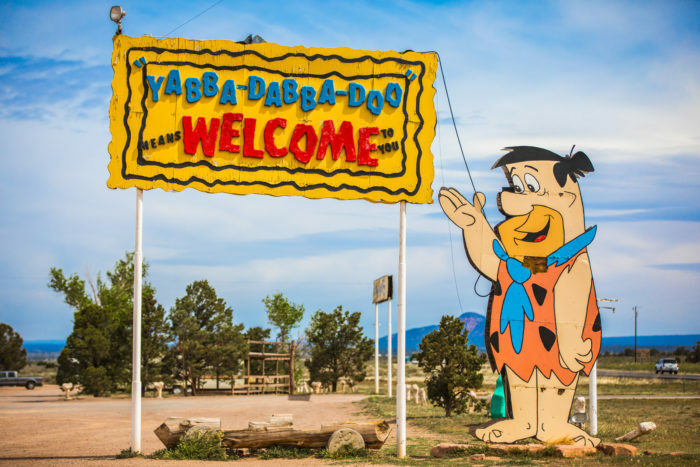 Unleash your inner child by staying at a campground that resembles the fictional cartoon town of Bedrock so much, you'll swear you've been transported into the TV show. 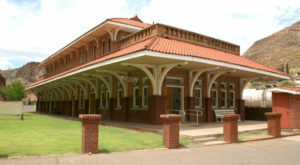 The 30-acre site includes a replica volcano, saloon, post office, police station, and brontosaurus - all modeled after the Flintstones cartoon. 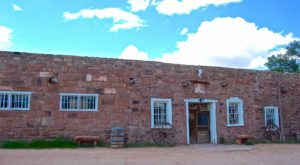 You'll find this gem at 101 US-180, Williams, AZ 86046. Constructed in 1928 by Italian architect Alessio Carraro, this grandiose building was intended to be a desert resort. That dream never came to fruition - most likely due to the Great Depression - but the landmark remains standing. 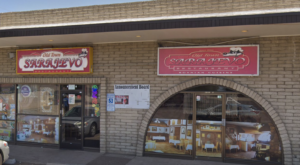 It's located at 5025 E Van Buren St., Phoenix, AZ 85008. History buffs will go nuts for this one. 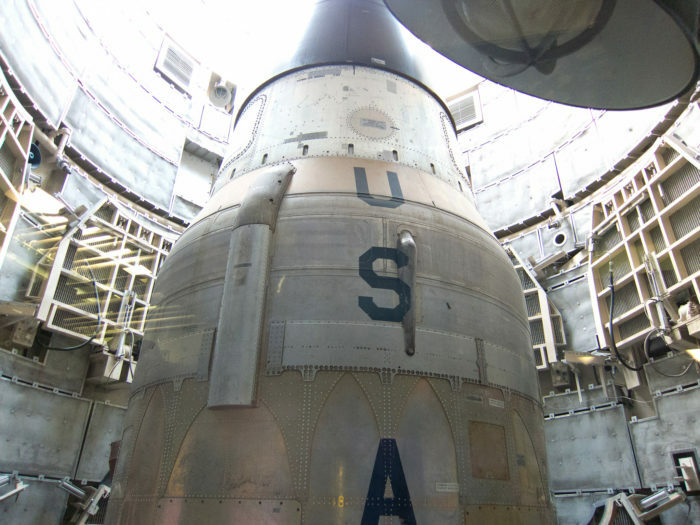 Once a top-secret silo during the Cold War, the Titan Missile now serves as a museum where visitors can learn all about its lengthy past. You'll get an opportunity to travel underground and tour the tunnels and launch duct itself! The address is 1580 Duval Mine Rd., Green Valley, AZ 85614. 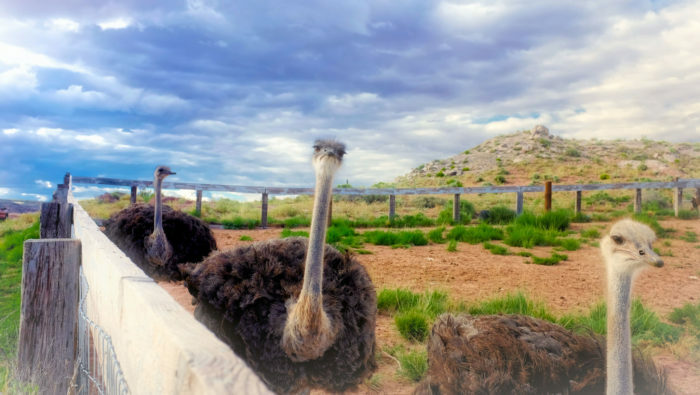 We see horses and cattle on ranches all the time, but ostriches? Certainly not a common occurrence. In addition to feeding the giant birds, you can take a ride in the ranch's enormous monster truck! You'll find this oddity at 17599 E Peak Ln., Picacho, AZ 85141. 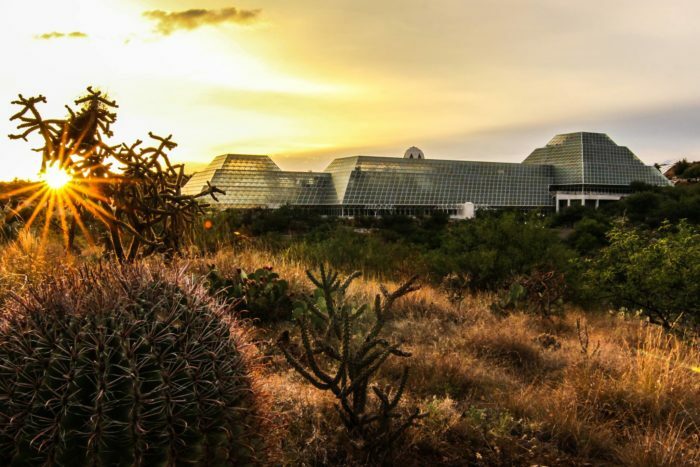 With seven model ecosystems inside, Biosphere 2 is the largest earth science lab in the entire world. 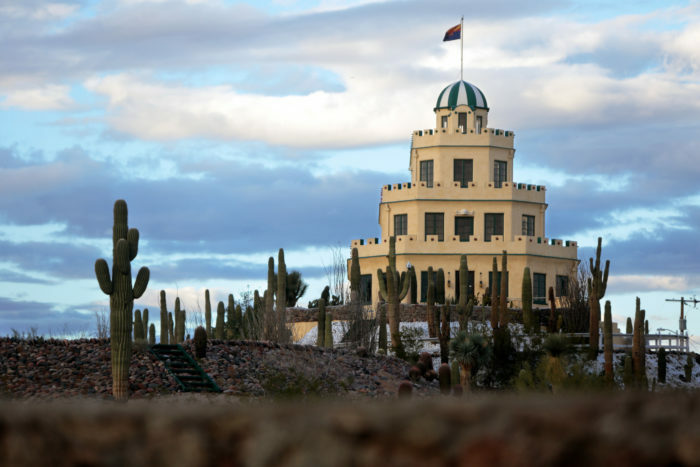 It's open to the public for tours, and photographers love to capture the building at sunset with the Santa Catalina Mountains towering behind. 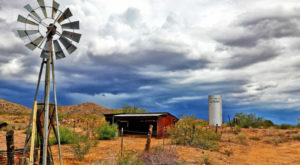 It's located at 32540 S Biosphere Rd., Oracle, AZ 85739. 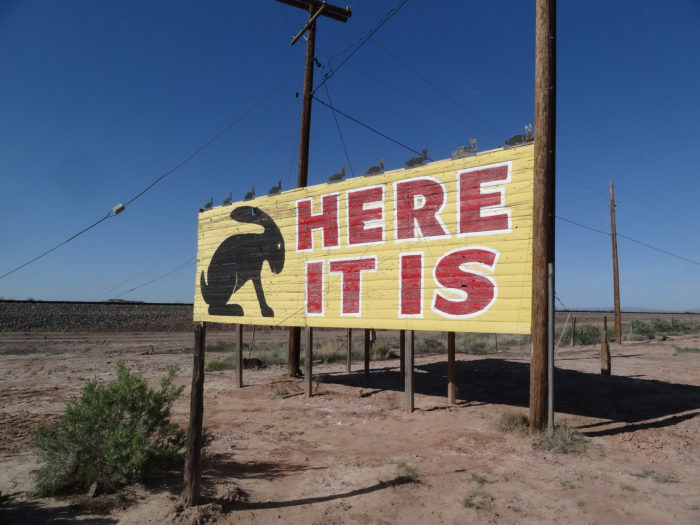 With signs practically all over Arizona advertising the elusive "Thing," your curiosity meter will be far in the danger zone when you finally get here. So what is it? Well, you'll just have to wait and see. 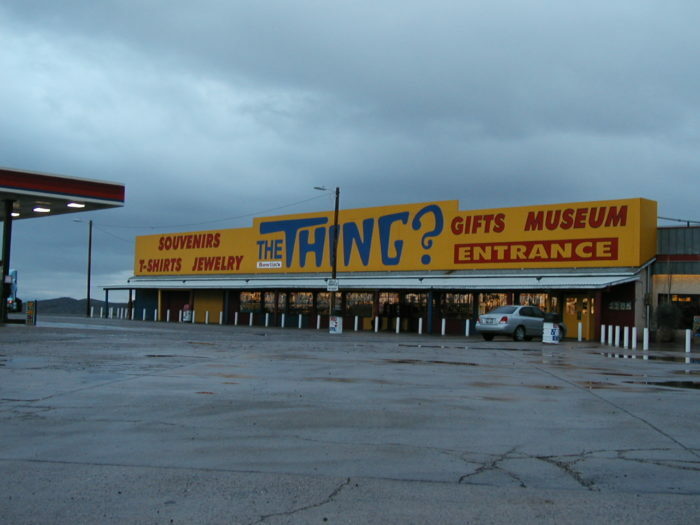 You'll find The Thing at 2631 N Johnson Rd., Dragoon, AZ 85609. 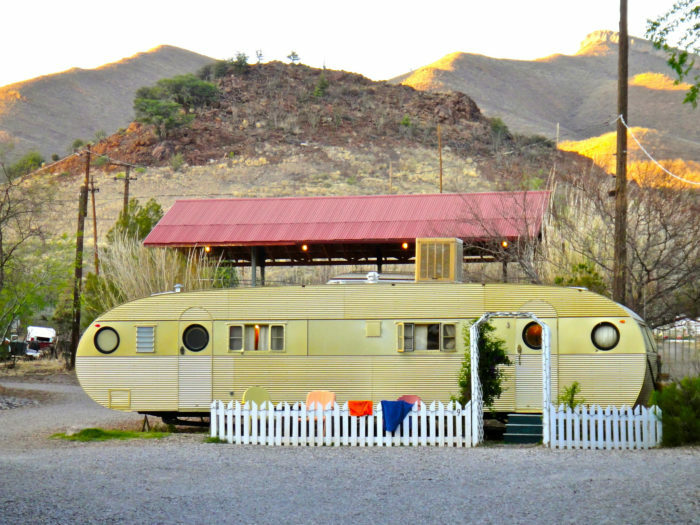 Like a black-and-white TV show come to life, this vintage trailer park is nostalgia at its finest. Full of restored RVs built as early as 1947, all that's missing is a couple of classic cars. You'll find Shady Dell at 1 Old Douglas Rd., Bisbee, AZ 85603. Would you go on this journey? Which stop are you most excited about? 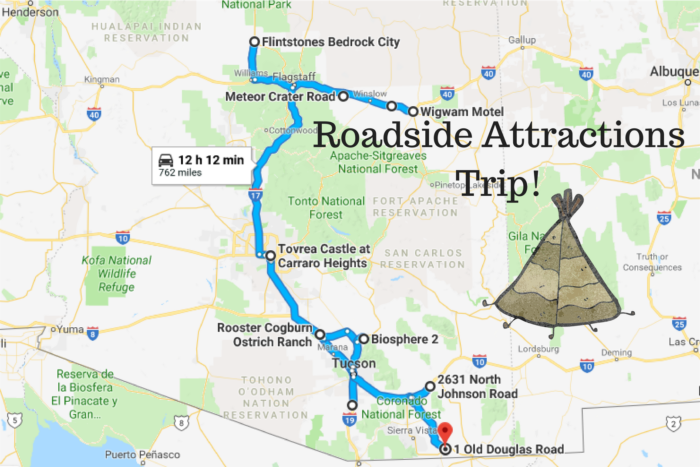 For another epic Arizona road trip just in time for Halloween, check out our previous article: The Ultimate Terrifying Arizona Road Trip Is Right Here – And You’ll Want To Do It.